A key pressure point in the neverending Duchene saga has arrived, as Avalanche players head to Denver for training camp. Most of his teammates are already in town, but Duchene himself has been noticeably absent. The wait continues, and some believe he may refuse to report to training camp next week to pressure GM Joe Sakic into a trade. Quiet rumblings over the past few weeks have suggested that the Duchene saga is indeed likely to come to an end soon - and that Sakic is getting close to a deal. Speculation suggests the asking price has gone down, which may have brought a few teams back into the mix. The Canadiens have emerged as a frontrunner in recent weeks. It certainly makes sense from a hockey standpoint with the lack of depth down the middle, but it's not readily apparent what assets they could offer to seal the deal. The Predators, seen as a likely landing spot earlier in the summer, may struggle to cobble enough assets together following the long term injury of defenseman Ryan Ellis. The Blue Jackets remain in the mix, with Ryan Murray seen as the piece potentially going the other way. The Penguins, Flames, Senators, Hurricanes, Islanders, Blues and Bruins have been rumoured trade partners as well. 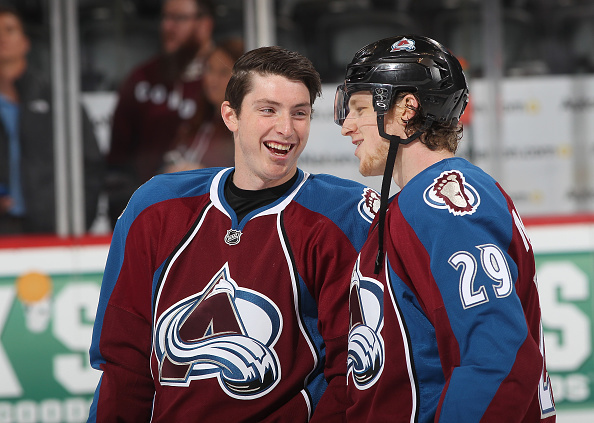 With training camp looming large, Duchene Watch is about to kick into overdrive.